Some people find the aroma/taste of various minty essential oils a bit too strong. For them, this is the perfect answer as a milder alternative. It can be used not only in cooking but topically as well and combines nicely with wintergreen, peppermint, lavender, fennel, dill weed, carrot seed, and bergamot. Its aroma has been described as slightly camphoraceous, spicy, bright, fresh, and lightly minty. Originating in China, spearmint is derived through steam distillation from the flowering herb of a perennial plant that can grow up to 40 inches in height and its main constituents are beta-myrcene, 1, 8-cineole, limonene, and carvone. Add up to four drops in your favorite diffuser to uplift the mood in any room. Spearmint is safe for ingestion either by adding one drop to four ounces of liquid or for use as a flavoring on your toothbrush. Adding a couple of drops to water can help fight against an upset stomach. By mixing a couple of drops with fractionated coconut oil or another diluent, spearmint can be used topically as an astringent, antiseptic, anti-inflammatory, antibacterial, and more. It is also said to have analgesic and anesthetic properties and usable as a tonic, stimulant, expectorant, and a plethora of other uses. Avoid contact with sensitive areas such as inner ears or eyes. If you are under a doctor’s care, nursing, or pregnant consult a physician before using. Always keep out of reach of children. 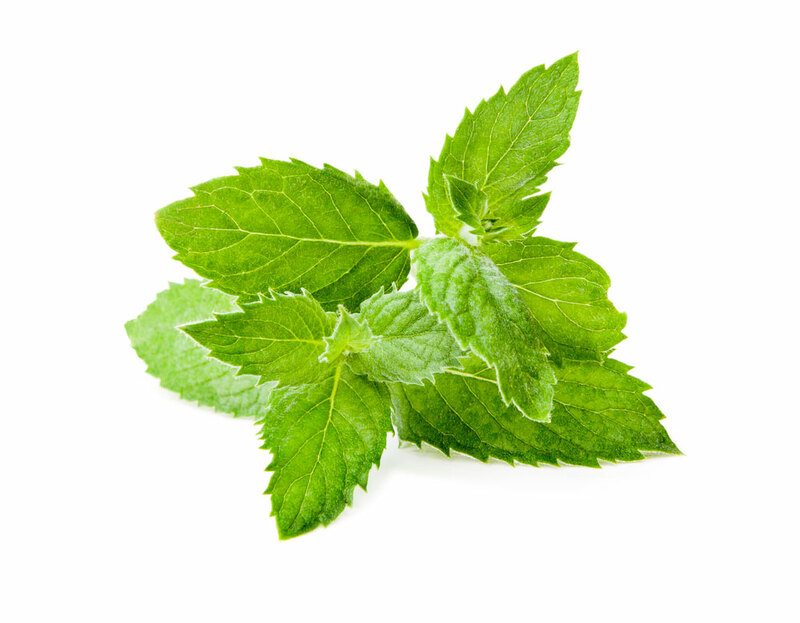 Some individuals with sensitive skin may have reactions to certain essential oils, including spearmint.